Muthspiel, Austrian by birth, is schooled in both the classical and jazz guitar traditions and as well as his jazz projects, writes for contemporary classical music ensembles. On this disc he plays both acoustic and electric instruments. The disc, recorded in Oslo, is very much in the ECM landscape, and indeed Muthspiel was thinking about Manfred Eicher's sound aesthetic when composing for the album. The disc has eight tracks, coming in at just over 43 minutes in total. After the darkly melodic first track, Joseph (after fellow Austrian Joe Zawinul) comes the upbeat Uptown. The moody Cambiata follows – it almost feels like we have entered the deserted set of a Western. The tempo hots up again in Highline, with some beautiful bowed bass from Larry Grenadier. 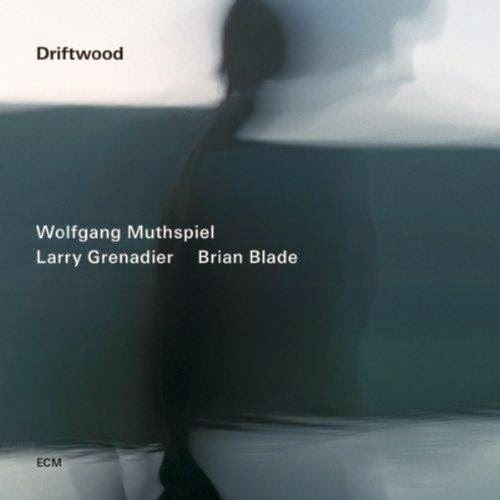 The title track, Driftwood, follows - this is a free improvisation with Muthspiel on acoustic guitar. Lichtzelle is a free spirited duet between Muthspiel on electric and Blade on percussion – composed on the spot as Blade had never heard the piece before. Madame Vonn is a ballad composed by Muthspiel for the olympic skier Lindsey Vonn following a terrible crash in a race. The final track Bossa for Michael Brecker is a tribute to the late saxophonist's playing style, much admired by Muthspiel. The overall feel of this disc is deeply atmospheric, in line with the ECM style and the moody packaging of the product. The subtlety of interplay between the three musicians is very evident. This would be a great gig in the round in Hall 2 at Sage Gateshead (Ros Rigby take note!). There are plans for a European tour next year by the Dino Saluzzi group. To hear Wolfgang Muthspiel, however, it will be necessary to travel to Australia at the beginning of the forthcoming antipodean spring – shame, eh? ECM. Catalogue No. 375 6400 now available. Yes, it would have been nice to hear Muthspiel in the UK.